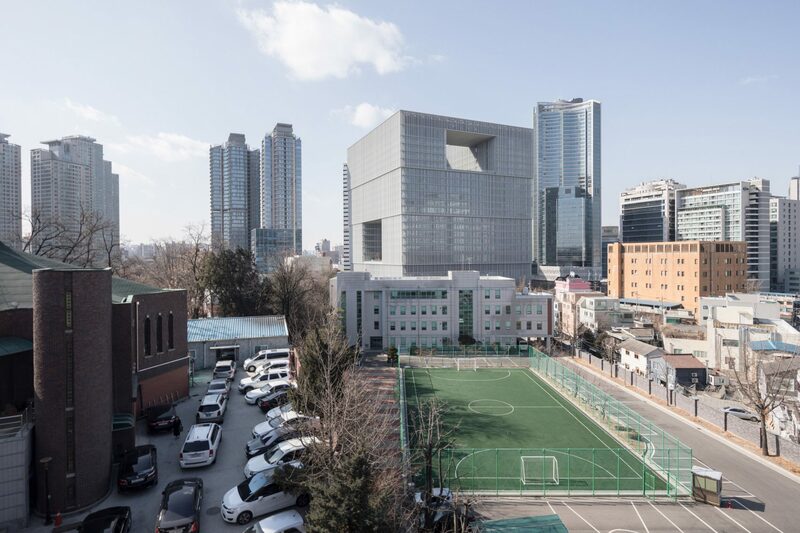 The 30-storey building in Seoul, South Korea, has 25 floors of office space above four floors containing public faculties including galleries and restaurants. 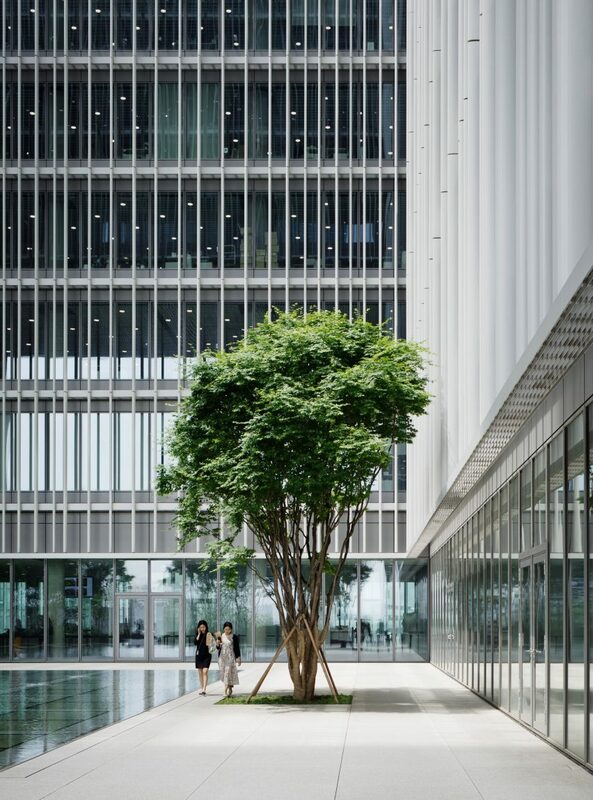 A central void runs through the building, allowing daylight to filter through to the interiors of the offices, with the voids connecting the exterior facade and this light well. 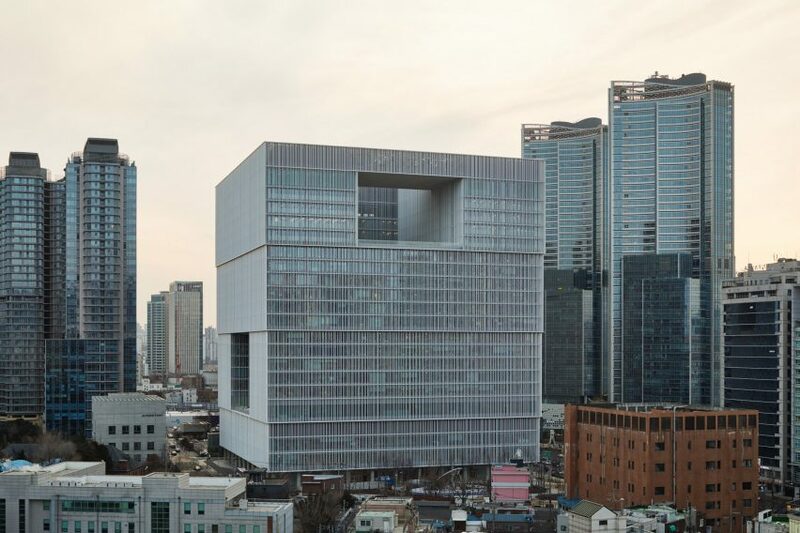 Amorepacific is South Korea’s largest beauty company and the fourteenth largest in the world. It is famous for its cosmetics innovations including cushion technology and BB creams. 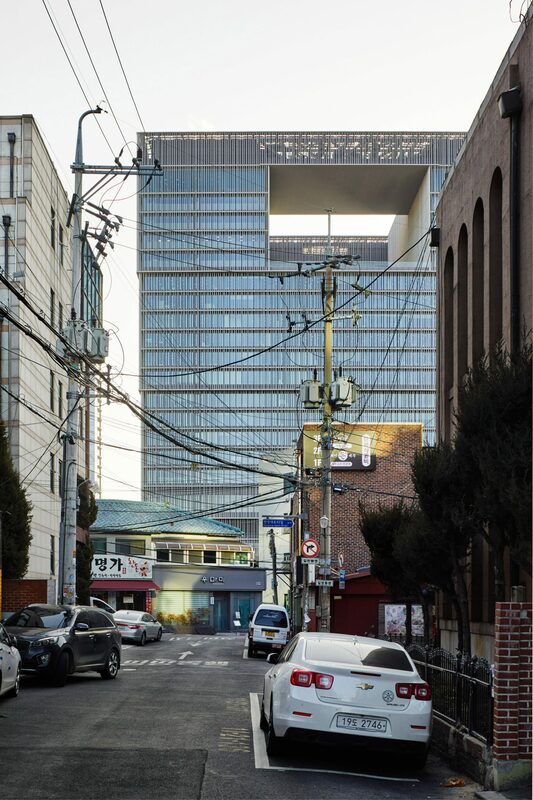 Founded in 1945, the company headquarters has been located in the same site in Seoul’s city centre since 1956. 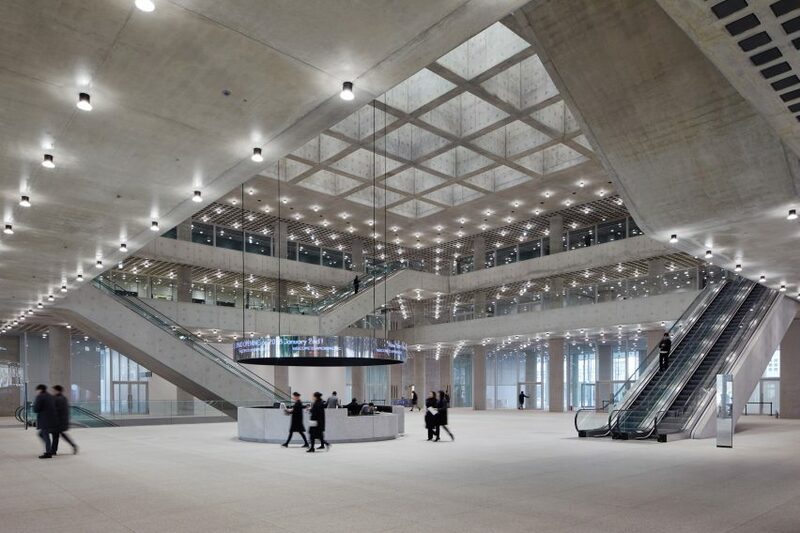 The new Chipperfield-designed headquarters is intended to demonstrate its continued ambitions as a global company. 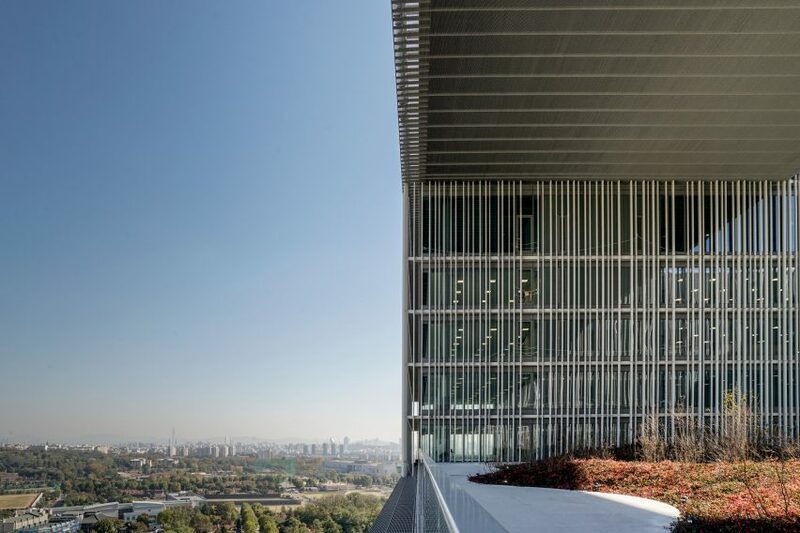 David Chipperfield Architects has clad the building in brise-soleil that deflect sunlight and gives the pale facade a soft and hazy quality. This covering doesn’t reach to the ground floor, which has been instead left open with just a glass facade surrounding the atrium. The ground floor contains the reception area, along with an art museum and tea room that’s open to the public. On the first floor there’s an auditorium and a childcare centre, as well as a place for customers to come and test the company’s products. A lower ground floor holds further exhibition and retails spaces. The auditorium stretches to the third floor, with escalators between floors connecting the covered central area, which is lit by skylights under a courtyard pool above. The first void containing a roof garden is cut through the the southeast facing facade on the fourth floor, and extends through to the central courtyard. Glass balustrades allow for uninterrupted views of the skyline. A restaurant, cafe, fitness suite and healing centre surround the courtyard. Open plan offices occupy the horseshoe-shaped floor plates from the fifth to the ninth floor. On the tenth floor an opening on the northwest facade forms the second outdoor area, with the horseshoe-shaped floor plates containing offices extending a further six floors. At the sixteenth floor, the third landscaped void opens on the northeast facade and extends six more stories to the roof. The British architecture firm has recently completed a major extension to the Royal Academy of Arts in London, and completed its first Canadian project: the transformation of a 19th-century building into a minimalist contemporary fashion store. During the 2018 Venice Architecture Biennale Chipperfield spoke to Dezeen about his relationship with the city. Photography by Noshe unless stated. 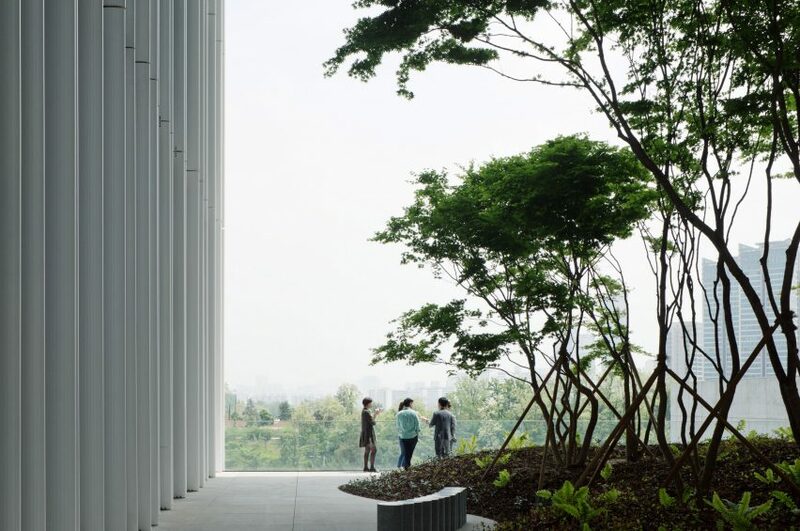 Be the first to comment on "David Chipperfield Architects completes office with “hanging gardens” in Seoul"